Happy, happy Friday all! Just wanted to pop in and gush over these printables I rounded up over on Papernstitch today. 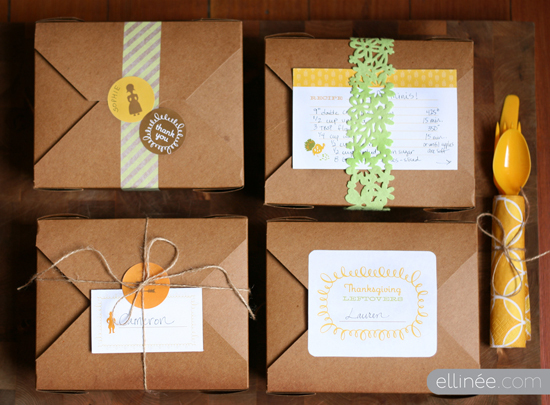 Thanksgiving will be here before you know it, and these are a great way to support some super creative artists and give your celebration a chic, handmade touch! (Aren't those leftovers labels in the picture above adorable??) Click on through to see the goods, and have a great weekend! love love love this idea. they turned out adorable. check out my ugly christmas sweaters!